Survey Analytics conducted a webinar on December 13th, 2012 entitled, "How to Set Pricing Using the Van Westendorp Price Sensitivity Meter." What follows is the full text of that session. At the end of this post you can find the webinar video and slides. Welcome everyone. I'm Dana Stanley, and I'm the Vice President of Marketing at Survey Analytics. And I'm very pleased for you all to be here for this webinar called How to Set Pricing Using the van Westendorp Price Sensitivity Meter. I've had a good time preparing for this webinar, and I look forward to a good session and some good questions at the end. By the way, if you do have questions, go ahead and submit them through the question interface on the GoToWebinar control panel, which should have appeared when you logged in. OK, first before we dive in, a quick word about Survey Analytics. We are a company that provides DIY or do it yourself software for data collection, analysis, and visualization. Our core product is Survey Analytics Enterprise Research Platform. And we allow people to do their own surveys, but we have advanced functionalities including the van Westendorp Price Sensitivity Meter, conjoint, TURF analysis, things like that that you wouldn't get in a standard package, but it's at a good price point. We also SurveyPocket, which is a tablet and smartphone app for doing field data collection. SurveySwipe is a mobile smartphone and panel app. LifeMetrix is for mobile data collection-- mobile passive data collection that is-- and Second Prism is a revolutionary system for visualizing and interacting with data on touch screen devices, such as iPads, Android tablets, and also smartphones of those two operating systems. So enough about us. Let me go ahead and get started in talking about pricing research. There are so many products out there, and I think we all know that products have been proliferating and services have been proliferating. You have your standard grocery products, of course. You have your technology products, innumerable numbers of different types of gadgets, smartphones, tablets, and the like. Another kind of whole domain of product is pharmaceuticals. All these things need pricing, and all of them should be doing research on their pricing. But it's not just limited to products. It's also services. So whether you run a massage service or you have an accounting service, you also need to determine pricing and not just in a haphazard way, in a smart way. Even pizza delivery-- there's another service that needs to know its pricing for the service of delivering pizzas. Existing products, one example being Coca-Cola, are always introducing new products, and they need to determine the pricing for their new products. Coca-Cola has its classic Coke product, and Coke Zero is one important iteration that they introduced. And they have lots of different variations. And of course, they have to do research on all of the different pricing for those different products. And even for a completely new product-- here I found something funny-- a goldfish carrier. 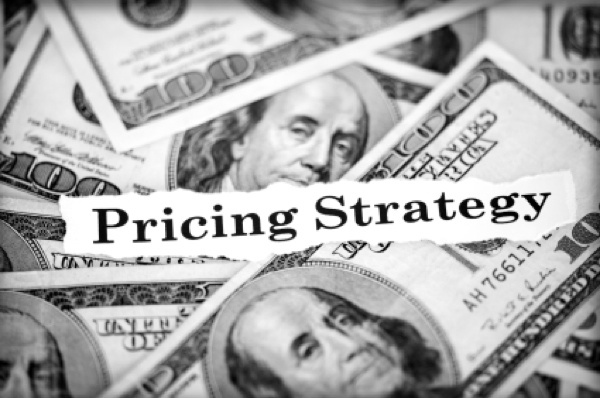 No matter where you are in the market, pricing research is critical. You have to know what your market is and where your positioning is and what kind of pricing makes sense for where you are in the market. Also things change over time. There's seasonality, and the market is constantly changing. So pricing research is not just a one off consideration, but it's also an ongoing consideration. You need to be checking in on your pricing on a regular basis, and you need to have your finger on the pulse of where the market is. And so that takes a methodical approach. And I'm sure everyone on this call would agree that a market research approach rather than a haphazard approach is what makes sense. So as you're determining your research priorities, you need to make sure that you're not neglecting research on your pricing. It's arguably the most important thing that you're going to research, because you can have the best product in the world, but if it's improperly priced you're not going to be happy with the results. So how to determine price. But first, how are prices usually set? There are a number of different ways. And number one is really guessing. There's a lot of guesswork that goes on. Let's just put a price out there, see what happens, and see what happens to our sales. Is it going to work? But I certainly wouldn't recommend guessing. Putting your finger in the wind, going on intuition, again not recommended, yet all too common. A lot of times prices are determined through negotiation. You suggest a price to your client. Your client comes back to you and counters. And its a back and forth, a tug of war, if you will. I don't know about you, but negotiation is not one of my favorite things. A lot of these guys actually look happy, but I'm more like this guy. His facial expression captures the feeling I have when I negotiate. And so, not only is it unpleasant, but it's also not recommended in terms of the way to optimize your pricing. There's the trial and error method. Put a price out. See what happens. Try something else. This is probably how most pricing is determined, not done through market research. Unfortunately many products are not researched, but the pricing is done by trial and error. Well people who are pricing by trial and error are certainly not optimizing their price, and most importantly, their profitability. And of course fear is a big driver. This may be one of the things that keeps prices down unnecessarily is fear of not selling-- fear of offending people by charging too much. We need to get over the fear and we need to look at things rationally. So you should be conducting surveys on your pricing. And I'm excited to talk about the van Westendorp method. The most common, I would say, way of asking about pricing in a survey for inexperienced researchers is simply to ask, what price would you be willing to pay for-- and whatever your product or service is. And this is called the willingness to pay question. The problem with the willingness to pay question is really two major things are wrong with it. One is that it's too blunt an instrument. It gives you a point estimate of what price, but it doesn't give you a rang. The second is that you're really encouraging people to low ball you, to say a lower price in the course of the survey. So that's not a recommended method. It is not sophisticated enough. You really want to determine a range for your pricing and not just have a point estimate, as I mentioned. Why do you need a range? Well you don't want to charge too much, and you don't want to charge too little. One example is this bag of Gummi Bears. Would you charge $20 for it? Well the retail price is $2.79, so clearly $20 would be too high. What happens when you charge too high a price? When your product or service is priced too high, you lose sales. Now how about this Movado watch? Would you charge $100 for it? Well the retail price is $1,200. So what happens if you charge too little? If you charge too little, your product or service is priced to low, and you lose profits. You're underwater, if you will. And that's no good either. you really need to figure out what is the acceptable price range. So summarizing, if your price is too high, you'll have lost sales. If your price is too low, you lost profits. So you need to find the acceptable price range. Even this is not quite sophisticated enough for most market researchers, and the van Westendorp method was a significant advancement over this better than basic but not quite good enough method of just asking for a high and a low price range. The key idea for the van Westendorp method was created by Peter van Westendorp, who is a Dutch psychologist, in 1976. He traveled from the Netherlands, where he was from, to Vienna where he presented at the ESOMAR Congress in 1976. And this paper got a lot of attention, and this method really took off. But this is the original source. It has subsequently been modified, and there have been some improvements on the method from the original paper. But the original paper was in 1976 called and "NSS Price Sensitivity Meter-- A new approach to consumer perception of price." And that's from the proceedings of the ESOMAR Congress in 1976. So going back to the prior model, let's look at what the van Westendorp model did to improve on that model. It recognized that there are two elements of high pricing and two elements of low pricing. You can have a price that's too expensive and on the low end a price that's too cheap. So on the high end, it's too expensive for someone to buy, and on the low end it's too cheap. Because not that people can't afford it, but rather they infer that it is not a high quality product, or that is not a sufficient quality product. On the high end, there's also the consideration that the product is getting to be expensive, but not so expensive that you wouldn't consider it. Why do you consider that in your equation? Well, as we know, and you'll know in your personal life that sometimes a higher price connotes higher quality. And so you asked the question whether it's getting expensive versus whether it's too expensive to tease out that distinction. On the low end, a product or service can be too cheap, which connotes low quality, but then at a higher price it can be considered a bargain. And you want to be above that bargain level, but not at the too cheap level. Likewise you want to be at the maximum at the expensive level but not the too expensive level. Now this is a bit esoteric as I'm explaining it here conceptually. I'm going to go right into showing you the exact questions and going into some examples. The idea here is that price signals quality. And that is the key innovation that van Westendorp added into the pricing model. I like to think of the four questions as a meter because of the term the price sensitivity meter. But you really can think about it as a warning system of where are you on these four constructs, as it were, in your pricing for different segments of the population at different times and for different products. So here's the too expensive question. Now I will tell you that there's disagreement and there are different versions of the specific wording. This is the wording that we use here at Survey Analytics. For the too expensive question, the wording is, at what price would you consider blank to be so expensive that you would not consider buying it? Now here's the expensive question, and look at the difference here. At what price would you consider blank starting to get expensive so that it is not out of the question, but you would have to give some thought to buying it? So one is too expensive, and then the other is getting expensive but not too expensive. The third question is what's referred to sometimes as the bargain question and the opposite of the not too expensive question. At what price would you consider blank to be a bargain, a great buy for the money? And finally the too cheap question is, at what price would you consider blank to be priced so low that you would feel the quality couldn't be very good? So one important distinction here is that the van Westendorp Price Sensitivity Meter assumes a rational approach to pricing. Their are more inferential approaches to pricing, including discrete choice conjoint. But this method assumes that there's a certain level of rationality among respondents to the pricing. And the conclusion from this is that it may be applicable more in some instances than others. So you really need to think as a researcher about your own market and whether you can reasonably say that your audience knows enough and is rational enough about the market in order to set this pricing within these questions. So this question has become an arrow in the quiver of many pricing researchers. Again one of many methods, but one that's proven to be quite effective and quite a regularly used tactic across lots of different industries. It has been validated across different industries for products and services and for expensive items and for low priced items. So it is quite robust in that sense. So let me give you an example. Let me pick one product and give you a sample of how you would use the van Westendorp Price Sensitivity Meter to research that product. I'm a guitar fan, and you may know this product. This is a Flying V guitar by Gibson. It's quite of high-priced item, but it is quite cool. Some of the best known guitarists in the world have used the Flying V, so it is a premium item. It's not just your run of the mill guitar. So let's take a look at how you would do research on how to price the Flying V if you were the Gibson Corporation. By the way, it retails for $1,799. So this is a product that's really a specialty product. Impulse purchases not withstanding, this is not a product that you would market to the entire population in a market. You would really be looking at people that know something about guitars. And again that goes back to that assumption of rationality. People in the market that are guitar collectors or have multiple guitars, they know a lot about the market and they have definite thoughts about the guitar market. So instead of going to the full market, we would be going to guitar enthusiasts. So we may be doing this research among a panel of guitar enthusiasts. So let's look at how that would work. In Survey Analytics we have a panels function. And I've made up this fictional panel called the guitar collectors panel. I've collected respondents and paneled them into our guitar collectors panel. And this is what it looks like. I've got a nice guitar players header. And this is my page within the panel. So we've got our guitar collectors panel. And then we want to do a survey. So we go into Survey Analytics. We create a survey and we add a question. So first we click Edit Survey, and then we click Add New Question. We click Add-On Modules, which is the group of questions that the van Westendorp question is within, and then you see down for the bottom there's a pre-programmed version of the van Westendorp price sensitivity question right there within Survey Analytics. So you can have the question in your survey within minutes. You also can customize it, but it does come in a standard format, which you'll see in a moment. So here's how the question looks. We have a nice picture of the product. And the question says, at what price would you consider the Gibson Flying V electric guitar, A, to be so expensive that you would not consider buying it, B, to be priced so low that you would feel the quality couldn't be very good, starting to get expensive so that it is not out of the question but you would have to give some thought to buying it, and to be a great bargain for the money. There are some variations that you can do with this question. For example, the ranges certainly are customizable. And you do not have to do ranges. You can have open-ended input. There's debate about which is better. When you analyze it, it does have to be in categories, however. You can vary the order of the questions and the specific wording of the questions. And you can change the slider to an open-ended input if you like. You can also have just end points on the slider instead of having the categories along the way. So the other thing to keep in mind is that you want to make sure that the responses are validated. Obviously the question-- the response for any particular respondent for the price at which the product is too expensive is going to be higher than their response for what price is too cheap. So you need to do a check. You can do programmatic validation with bounding logic, or you can do post hoc data cleaning. It's really up to which way you do it. This is a simple check to make sure that respondents understood the question correctly. The four questions need to be in an order logically, that the too expensive is highest. Expensive, or sometimes called getting expensive question, is second highest. Bargain is the third highest, and the too cheap is the lowest. So the way you analyze the data is that you plot each of these questions for the population of interest. At first we're going to be just looking at it among the total population surveyed. For that population, you want to plot the four questions. The trick is that you need to invert two of them. Now let me explain what I mean by that. For each of the questions, you're going to be plotting the cumulative percentage of respondents that thought that that descriptor describes the pricing for the product. And I'll show you an example on the next page. For the expensive and bargain questions, you want to invert those questions. And then for the too cheap question you want to do the normal cumulative. Let me show you what that yields in the results. But first let me explain how the axes work. The x-axis is going to be the-- sorry I have these reversed. The x-axis is price, and the y-axis is the cumulative proportion. And this is the result. So you see the red line represents too cheap. The green represents expensive inverted, and that's not expensive. The purple line represents the bargain question inverted, so not a bargain. And the blue represents the too expensive. You see that it's the proportion for each price plotted against the proportion of people that agreed with that for each price. So how do we analyze this data? It doesn't always come out as pretty as this with four intersecting lines, but it usually does. So how do we interpret the data? Well this intersection is called the point of marginal cheapness. It is essentially the place on the price line that is the cheapest that you can go while maximizing all of the other factors. On the other end is the point of marginal expensiveness. Again that's as expensive as you can get while balancing the different pricing factors. And that range represents the range of acceptable prices. So again this is not exact, but it gives you a good sense of the range of where theoretically your pricing should be in. Some people look at the place where the too cheap and the too expensive intersect as the optimal price point. So what else can you do to enhance your analysis with the van Westendorp Price Meter? Well you can measure purchase intent. In fact, that's recommended. You can take the output of the van Westendorp method and you can measure purchase intent at those different levels. And so you have some validation for the estimates that you've come up with. You can also, of course, layer in profitability data. You know at what price levels what profits you're going to have. So you can combine that with the van Westendorp data to determine the optimal revenue point. That's the point at which you're going to have the most profitability along the price line. You also can do a box plot of each of the four questions to visualize the data in a different way. That gives you the 25 and 75 percentile for each of the four questions. And that's just another way of understanding the data. But the aforementioned four-line chart is the standard way of analyzing van Westendorp data. So when you have many different products-- and my daughter is a fan of the American Girl dolls-- so theoretically the American Girl company could do iterations of this pricing research for all of their different dolls. So you can see how it gets to be quite useful to distinguish among the different products and the different versions of your product. And so they would in theory have a nice little chart for each of the different products, for each of the different target groups, regions of the country, et cetera. Well what are some of the criticisms and limitations of this method? Well, as I mentioned before, there's an assumption of rationality. So you have to be comfortable with that-- that that's applicable in your market. One big criticism is that it within the survey does not account for competition. It looks at a price of a product in isolation. If you're looking at a competitive situation, if you want to focus on that, or if you're not comfortable with looking at a price in isolation from the competition, then you may want to consider discrete choice conjoint or other methods. Someone said that the pricing in the van Westendorp method tends to be lower because it encourages low balling. I'm not sure I agree with that, but that criticism is out there. It also can be limiting. And this is true of any market research method-- that when it's not used in conjunction with other techniques, it can provide a limited window onto the phenomenon you're trying to study. You always want to, as a researcher, triangulate in on something using multiple methods if possible. That's why we do qualitative and quantitative-- to have different views on the same phenomena. And because there are so many nice little charts and numbers that come out of the van Westendorp method, the analysis chart can make it appear that the method is more precise than it really is. Of course, this method is subject to the same survey error, the same measurement error, that all surveys are. So don't take the ranges too literally. Take them as a guideline. And, of course, you want to replicate the results, do it more than once, and you want to look at different methods in conjunction with the van Westendorp method. So that's my presentation. If you want to go ahead and submit some questions into the GoToWebinar control panel, I will do my best to answer them. And I do thank you for your time. And my contact information is here. There's my email address. And at surveyanalytics.com you can check out our software. You can sign up for a free trial if you'd like to check it out. And, of course, we'd be happy to talk to you.